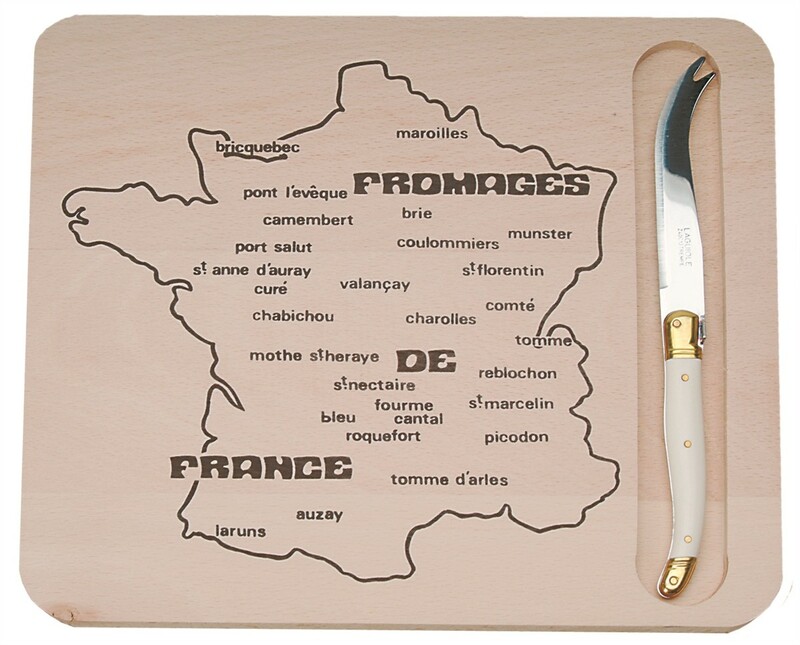 Slice, serve, and learn, about your favorite cheeses with this Map of French Cheeses cutting board and cheese knife. 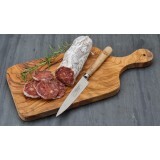 The board should only be handwashed, while the cheese knife is dishwasher safe. 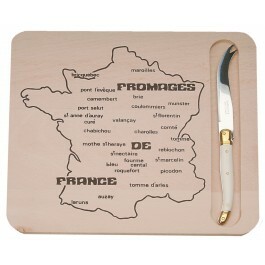 This set makes a great gift for a cheese connoisseur. 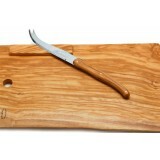 However, most of products, APART from those with NATURAL WOOD handles, are dish-washer safe. Size: Board Dimensions 11.75" x 9.75" x 0.75"